In case you’re a Quicken user like me, I thought I’d point out that Quicken 2009 is just around the corner. It’s supposed to start shipping on September 3rd, and they’re currently offering discounts ranging from 20%-36% on their various products. I’m just bummed that they still haven’t updated the Mac version beyond Quicken 2007. While it still does exactly what I need it to do, it’s not a Universal Binary application, so it doesn’t run natively on an Intel processor. An update of some sort has been rumored for quite awhile now, but it hasn’t happened yet. 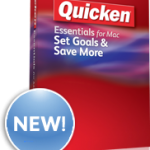 Quicken Essentials for Mac – Taking a Step Backwards? A bit off topic, but wondering if anyone else has problems with speed/responsiveness of quicken with large data files. I’m running Q 2007 Premier, and QDatacurr file is about 24 MB. I have plenty of RAM (4GB). Any thoughts? I checked at the Costco price. Even the fact that it is cheaper, after shipping and taxes it end up being more expensive than downloading from the Quicken Intuit website. I’ll stick with Quicken 2006 Deluxe for as long as I can. Seems that the investment portfolio management is no longer in the Deluxe version so to get the functionality of my 2006 Deluxe, I would have to upgrade to 2009 Premier – not worth the cost to me. I only upgrade my Quicken every 3-4 years, around the time the support would run out. This time, Quicken offered me a deal to get Deluxe + Willmaker for $30, so I upgraded from Quicken 2006. So I thought that was a good deal. gm, I usually find that manually downloading after each statement comes out is sufficient. We use the statements to reconcile, not to record expenses as they happen. That way we know if something posts incorrectly. Thanks Nicholai, I will be sure to upgrade by 2011. Since I don’t use any of the bill scheduling or the other things upgraded in 2009 (from the 2008 version) I will not upgrade this time. By the way, as an aside I use TurboTax (and Quicken) to do my taxes and just learned that it screwed up my 2006 taxes. 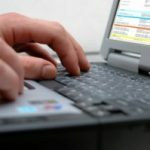 It messed up my Schedule D by not including all my stock trading transactions so I was notified by the IRS (and sent a bill unless I could fix it). I did look over my taxes before sending them but missed the error. I was surprised because all the data for my stock transactions were simply imported from my Quicken data which is completely accurate, but TurboTax still somehow messed up with the import and now I have to work it out all over again for the IRS. @JD – Quicken supports their software for three years, so if you have Quicken 2008 it would be wise to wait until 2011 to upgrade unless a version comes out in the meantime with some can’t miss features. I’ve owned 2005 and 2007. From their site, 2009 looks like it’s comprised of a few small tweaks to the 2008 interface for bill scheduling. But it’s definitely more user-friendly than my version, so I’m considering this upgrade. I have Quicken 2008 and from what I’ve read about the updates in 2009 there doesn’t seem to be much. I’d rather not upgrade but if I don’t does this mean I will have a hard time upgrading later when the next version of Quicken comes out or a few years from now after a few more versions? For instance I have 2008 now and lets say I don’t decide to upgrade until Quicken 2012 comes out, will I still be able to or will my Quicken file be too old to convert? Quick question for all you Quicken and other users. Most financial institutions charge a fee for automatic updates of balances etc to be directly uploaded to Quicken. Do you pay this fee or do you manually download for each bank/broker/401k etc periodically? Correction, Deluxe is $44.99, not $49.99 for the 25% discount. I just might do this since I’ve been thinking about buying it anyway – my last use of Quicken was 2002 and I did find it very useful at that time. If it helps me avoid bouncing 2 checks, it will have more than paid for itself. They now have some info available on their site about Quicken Financial Life. You can now sign up to beta test it as well. I’m already running Deluxe 2008 and haven’t seen anything so far in the way of enhancements that makes me want to go out and purchase the upgrade. Although, it is a pretty good deal – I can upgrade to Deluxe 2009 and get a free version of Will Maker 2009 all for the bargain price of $30.00. I may get this upgrade … I haven’t upgraded my Quicken since the 25th anniversary edition. 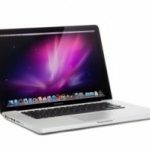 Last I heard they aren’t going to update Quicken for Mac, they were going to build an entirely new Mac product, which won’t have feature parity until after it’s released. I think it’s supposed to only do basic types of accounts at first and maybe not investments or loans, can’t remember exactly.